Reality is warped, the senses set on edge, the psychic landscape distorted by paranoia and alcohol; repressed memories bubble to the surface. The narrator, a journalist living in Mexico City, is planning to return to El Salvador from where his family fled when he was a child after his father was assassinated. It is 1992, and while the 13-year civil war in El Salvador between the military government and left-wing guerillas is coming to a negotiated settlement the situation is still volatile. The narrator is leaving his job at a Mexican newspaper and returning to San Salvador to help start up a new magazine. But, as he admits, it is as much about fleeing his life in Mexico, his wife, and young daughter and his excessive consumption of alcohol. Seeking relief from physical pain he visits an elderly doctor, Don Chente—another Salvadoran exile—who has embraced acupuncture and psychoanalysis. While curing his immediate physical ailments, the psychoanalysis, and in particular a couple of sessions under hypnosis, have started to stir up the narrator’s psychic sludge and bring to the surface long-buried episodes from the past. His paranoia is fuelled further by a suspicion that he may have revealed aspects of his past that he would have rather remained buried. Even worse he suspects that the doctor might have written these down. Events surrounding the assassination of his father, the murder of a friend, his relationship with his powerful paternal grandmother and how she undermined his relationship with his mother—all shift in the shadows of memory. He becomes caught up in bizarre plots that he is not quite sure are plots, that he has become confused about or not fully understanding what is happening. Is the doctor actually a spy who will use what he uncovered while the narrator was under hypnosis to incriminate him and set him up for assassination when he returns to El Salvador? When he finds out his wife has had an affair he confides in a friend who then convinces the narrator what he has killed his love rival. It is a joke. Or at least he thinks so. 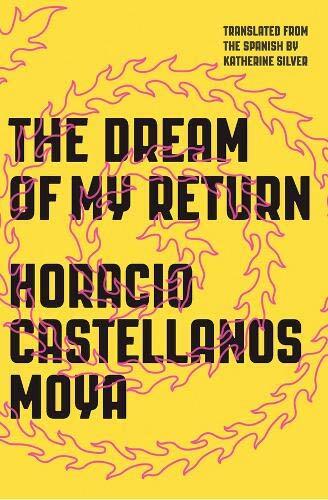 Castellanos Moya’s narrative technique mirrors his theme and disorients the reader who, like the narrator, begins to doubt what is happening and what is real. The narrator’s unreliability, his confusion and alcohol induced blackouts, his speculation about what might be happening and inability to distinguish from what is actually happening create an unsettling narrative. It is well past the halfway mark before we find out that the narrator is called Erasmito, a name that is never repeated and that requires flipping back over pages, like the sifting of memories, to verify it. We begin to share the narrator’s paranoia about what is actually going on and dread what new long-buried memory is about to surface. He hints and sometimes begins to tell before cutting himself short. This is a short, funny and rather disturbing novel in which the surface events are just a layer beneath which the real story unfolds.